When a player is in possession of quality football gloves, they are assured of their improvement while on the field as the gloves render that extra grip which ensures that they have an excellent ball control. Apart from the unparalleled benefits gained in the handling of the ball, it’s worth mentioning that a player is also assured of protection throughout the game. That being said, it’s amazing to see how players are gradually discovering and embracing the range of benefits accorded by modern day football gloves. A quality and an advanced pair to a player is a form of identity in terms of dedication to the game and in terms of throwing and catching balls with ease and confidence. It’s not easy to determine the best pair of gloves out there because it all depends on the types, features, and purpose you are looking for. Here I have summarized the top choices by football players around the world. I include the features and benefits of each different type of gloves so you can easily make your own decision on which one that will suit you the most. Cutters have really continued in their outstanding work with gloves. 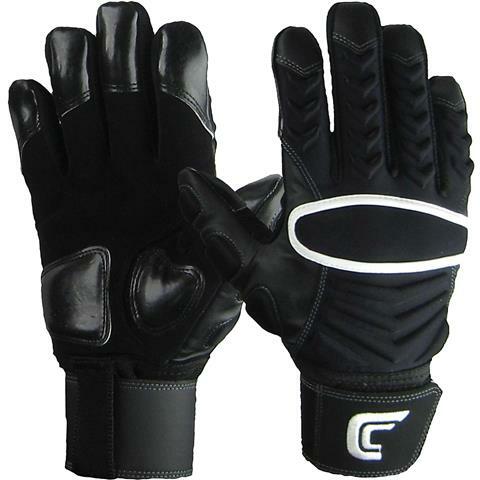 The C-Tack presence has seen these pairs make their name as one of the best-selling gloves. Not only does this exceptional performance enhancing material increase the execution of plays in a game but it ensures that a player plays essentially better than he regularly does. When we talk about durability, this is made of sturdy leather which prevents tears arising from too much use. The materials are designed to be more flexible so as to give the player a nice and warm feeling. On top of this, these Cutters gloves can be washed and even dried using machines. 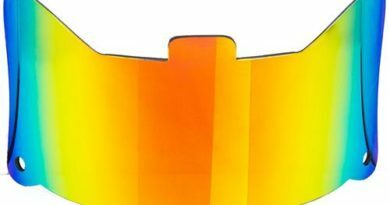 The most attractive feature as you will come to realize about this is that they come in a variety of colors to pick from. This enables players to match them to their team uniforms thereby adding a stylish appearance on top of the amazing feeling when wearing them. 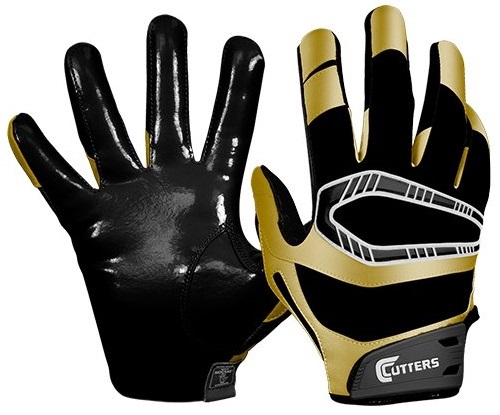 These Cutters gloves are ideal for defensive backs, returners, running backs and receivers. Features C-Tack, a ground-breaking optimum performance material for enhanced grip of the football. Players can be assured that with the wrist made out of C-Tack, their grip coverage is increased in addition to the mobility offered by these pairs. The back of the hand features the Lycra panels which are designed to give the wearer enhanced flexibility and comfort. Finally, these are compliant with the NOCSAE requirements and this addresses any worry of meeting the set standards by the body. The Reinforcer gloves are streamlined and the result of this is more flexibility as they are therefore less bulky. The Reinforcer by Cutters’ is a patented and proprietary system providing the best in lineman performance and protection as it allows a full flexion of the finger forward and prevents hyperextension of the fingers which above all ensures that the risk of injury is minimized. On the palm patch of this product is the C-Tack material as well as on the fingers to increase the grip offered plus durability. You can also sit back rest assured that these pairs meet the NOCSAE standards. This C-TACK revolution is a perfect example of a high-quality product. They are enhanced using C-Tack which increases the tackiness on the surface of the palms. As any football player can tell you, the grip is of utmost importance during a game. A player with the ball ensures that he doesn’t let it go to the opponent side and a slip of the hand that is accidental might just let that happen. 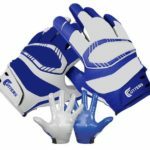 The C-TACK ensures that such incidents don’t happen as the player using the gloves won’t ever face problems with grip again. Very light and thin for the best comfort. Available in a range of sizes for all the ages. Special grip technology featured improves the gripping power. Work well regardless of the weather condition. They can usually appear as costly to a number of people. When we talk about design in regard to these ones, saying awesome is merely an understatement. 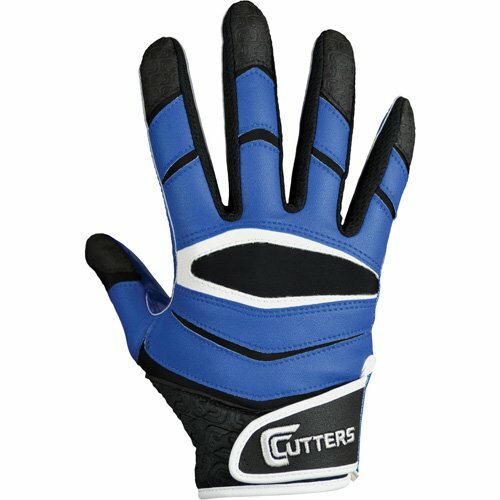 Cutters have made this all-purpose piece of gloves outstanding in design on top of a number of other pros. 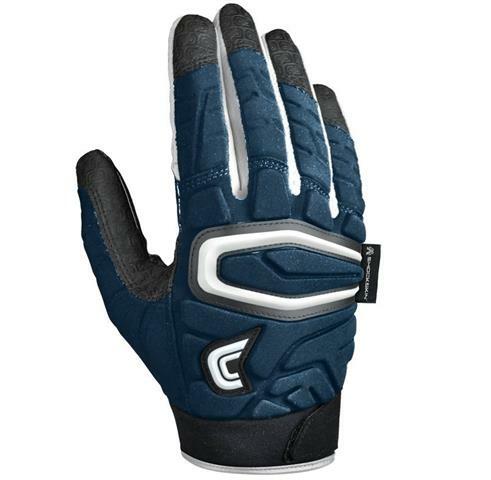 The grip technology employing C-TACK in this glove assures an outstanding grip at all times. Providing outstanding grip for players regardless of the weather condition, whether dry or wet conditions. Having effective ventilation all along the glove’s topside, this is also incorporated throughout the palms also. Significantly higher durability which outlasts a number of other gloves out there. The padding contained therein ensures protection in addition to the glove’s topside. With this pair, Cutters teamed with Shock Doctor so as to provide the ShockSkin Contour Technology to these gloves which ended up taking them to a whole new level. This is for players who are looking for a low profile protection but having the dexterity, grip and feel of an awesome receiver glove. The Eva foam that is thin and of lightweight dual density gives the wearer optimum comfort with a freedom of movement making this item a sure bet. This Battle pair is constructed from Ultra-Stick which is a high-quality material that makes holding the ball such an easy task. There are other awesome features coming with this product including a hook and loop closure, durable stitching, the Ultra-Stick to catch the toughest of passes, reinforced knuckle protection for durability and the lightweight strength wrist for flexibility. It’s worth noting that in the industry, Ultra-Stick is a material of highest quality and with quite a reputation. So with these pairs, you are assured of optimum performance in the field. 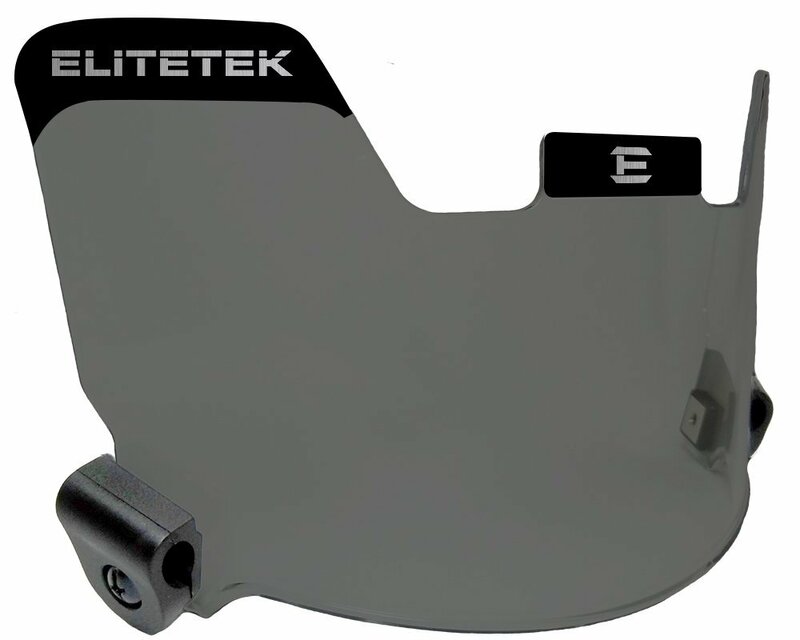 EliteTek is a company which has forged a mark in the sports arena for the production of football gears, especially the gloves. They have created an emphasis on the kind of sportswear built to enhance the performance of a player whilst the player is kept safe from harm. These pairs from the company are the impeccable combination of performance and safety all the while looking very stylish as they do the job. Special grip technology featured improves its gripping power. Available in three colorful designs. Have safety measures to ensure an extra level of protection to the player’s hands. Can be costly to a number of people. Made out of breathable stretch material that is woven to increase flexibility and mobility. The perforation openings allow superior cooling ventilation plus comfort. Awesome comfort whilst snugly fitting on the hands. Considered as one of the cheapest brands in the market. Quite breathable which helps eliminate the sweat arising from wearing them for too long. Provide players with an awesome natural feel which gives the player a great feel of the ball. They don’t come in a variety of sizes and colors to pick from at the moment. 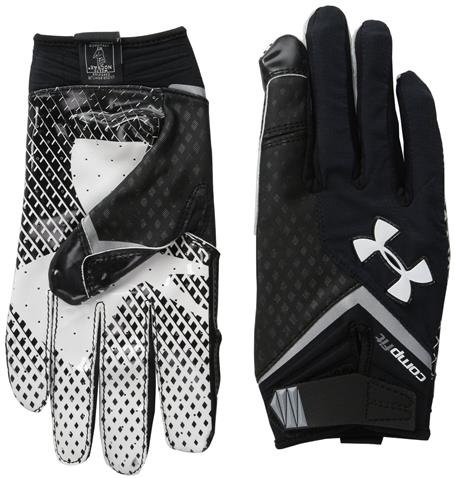 To begin with, this pair of gloves are compliant with the standards set by the NOCSAE, NFHS &NCAA. In addition to that, owning this sporting accessory ensures a sticky palm as a result of the GrabTack material used to ensure that you have efficient control of the ball. It has superior ventilation as there are perforations all over the palm and this is sure to provide a good feel to the wearer. 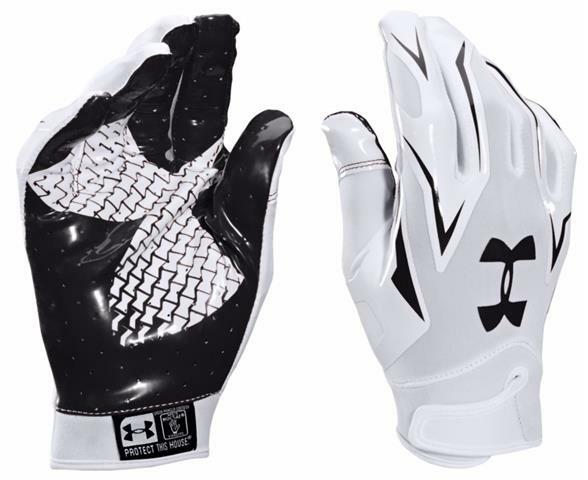 As a norm with all Under Armour football gloves, meeting all standards set by the NOCSAE is a must and this is followed by a horde of other benefits you gain by acquiring them. With HeatGear, the material used, the wearer’s hands are kept cool and in very light in every sense. The palm is made out of GrabTack is ultra-sticky and very stretchy offering optimum ball handling capabilities to the user. Finally, the single piece palm that is seamlessly covered with perforations gives you an awesome feel as a result of the top-notch ventilation. With this pair, extra support for the wrist is exerted at the convenience of the user with a Power Strap that is removable. When performing with this glove, lightweight is key as it features ArmourMesh that is under an Under Armour patent and much as it’s made from a material that is thicker, it still is very durable. Very durable regardless of the fact that it’s made from thicker material. Features a very thin but highly effective padding of the finger on top of the hand which allows the users to have a good range of mobility whilst under protection. 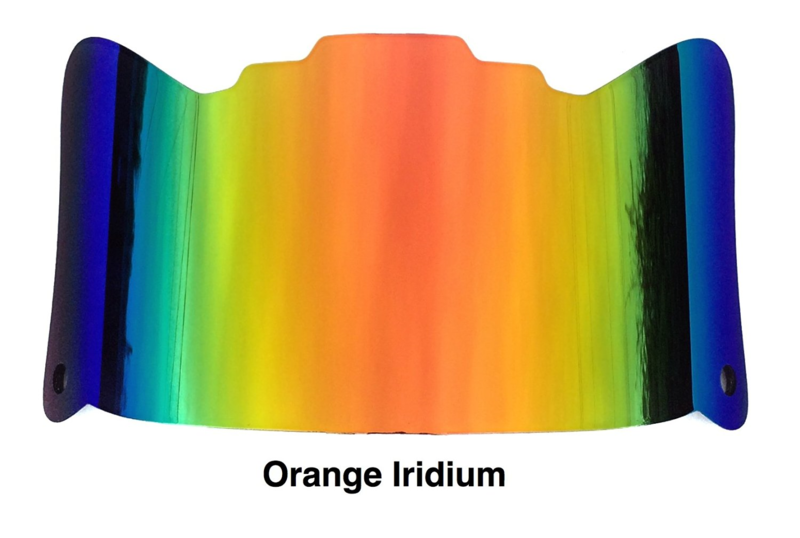 It is highly abrasion resistant. They lack full padding behind the hand. This one is made from HeatGear which is a compression material that is meant to help a user’s hands be at optimum performance during a game. Allows for flawless movement as a result of UA’s stretch fabric. Easy to tighten and loosen wrist straps to ensure wrist protection. It mostly is a glove useful for cornerbacks, defensive backs, receivers implying that other players need to look for other options. 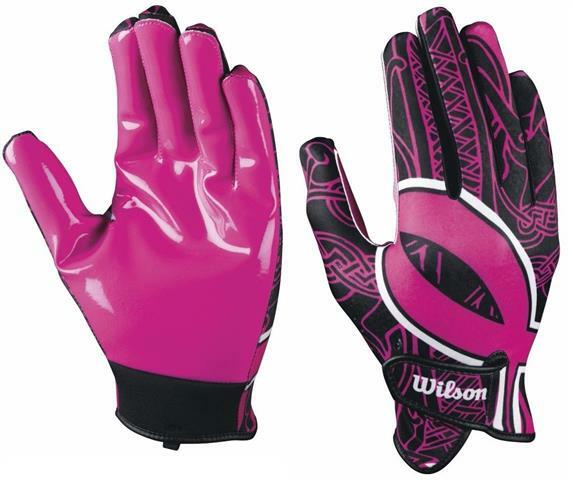 Wilson has been known to provide sports equipment of high quality. These gloves come with a silicon palm that is seamless offering the user steady grip. The fact that this company’s football is the official football in the NFL means that the gloves they make are surely a good bet. Everything you need in gloves can be acquired in this item and at a really low price. This is an affordable option and is available in a variety of sizes. This also meets the standards required by the NOCSAE. 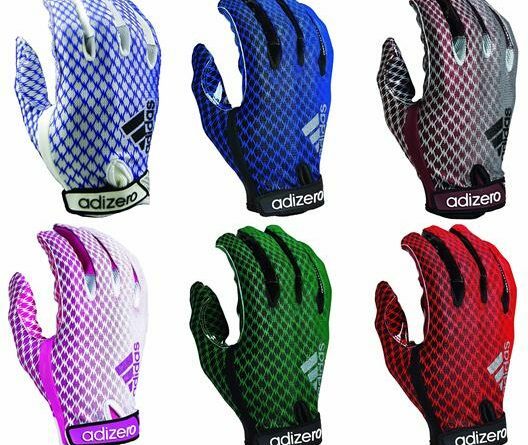 When you acquire the Adizero 5 Star 3.0 model of Adidas football receiver’s gloves, you will then come to find that the pair comes with a whole Grip Tack palm which is tacky regardless of the weather condition. Also at the back of the hand is Lycra which is of performance grade in addition to its breathability and these items end up offering you fit, dynamic comfort and function. 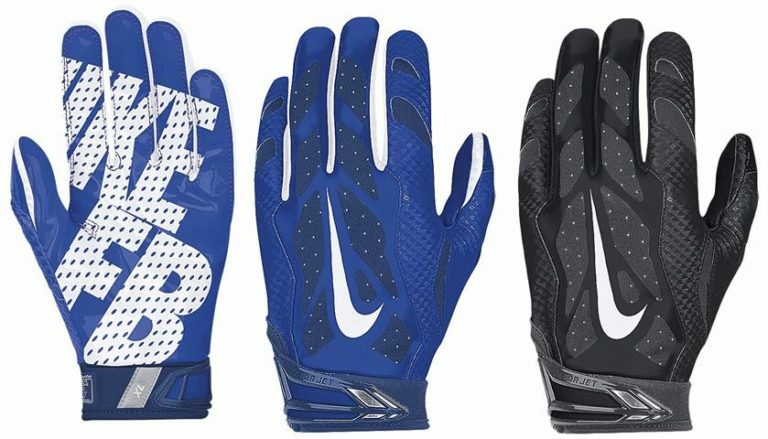 Nike’s Football Gloves are famous for their quality. This is the kind of gloves made to control the game. Shock absorption has been made a key function of this item and the revolutionary magnigrip material gives the user quality power of clutching. This also ensures that the gloves are sturdy hence making them last for a long period of time without a lot of tears. There are also paddings on the back and knuckle hand areas which give the user a relaxed sensation as they wear them which reduce stress or strain that might build up on nerves. Inset strengthening of the gloves increases their surface area meaning that the palm finds enough space for grabbing the oncoming ball. This is high speed structured gloves using Magnigrip. For lightweight strength and airflow, they also have a breathable mesh which comes under the reinforced structure. Players can be assured that the kind of grip coming with Magnigrip is meant to last and its efficiency is commendable. These pairs from Nike are surely built taking into consideration the optimum and fit in addition to performance. They also meet the NOCSAE/NFHS/NCAA standard. These feature Hyperfuse which is a revolutionary technology meant to provide lightweight strength for the user. There also isn’t a cuff constructed and this gives way for less weight and a better grip. Breathability of this glove is enhanced by the integrated ventilation as well as the magnigrip present that offers excellent grip to the user. They generally are very thin which makes them of light weight in addition to providing a great feel of the ball. Many openings have been incorporated on top of this to ensure the hand stays cool. Offer the best protection for players. The fact that they are very thin needs to be a consideration that their durability may not be compared to gloves made out of thicker material. Having a firmer grip on the ball as the player is making the catch is the gloves core purpose. The surface for gripping does vary as there are pairs of gloves which have patches of silicon on the palm whereas others exist with small bumps made of rubber. There are others having some chemicals on them which make the palms of the gloves sticky helping the player to make awesome catches. You can use Grip Boost Bottle to make your gloves sticky. Gloves do accord safety to the hands of the player. Sometimes the force of an oncoming ball may be strong enough during a pass play such that it causes an abrasion or even a cut to the hands. During defense or offense as players are down in clinches, protection from face masks, helmets and from being stepped on is very much needed and gloves do come in handy to provide all the required protection. Sometimes the weather during a game may become very snowy or even rain and this usually causes a slickness on the ball and hands. This is when a pair of gloves comes in handy to give the player traction for keeping the ball in their hands. There are thinner types of gloves which don’t give the player much protection from the cold but there are thicker types of gloves out there designed to give warmth to the hands whilst improving their grip. As rendering grip to the player is the gloves’ core function, this is the foremost thing to consider before buying a new pair. Nowadays, football gloves come featuring advanced technologies to ensure they provide the best grip there. All these is designed to provide extra ball control by providing essential tackiness on the ball. Well-informed players know the kind of comfort and flexibility in addition to the tackiness on the palm that is accorded by a good pair of gloves. You should, therefore, ensure to purchase a set which fit you well and keep your hands cool and dry as this will go a long way to preserving your maximum flexibility. A good looking pair of gloves on top of working well is of huge value. There exists a variety of styles that a person can choose from. The colors can be matched by the players to team colors as a personal fashion statement. The most important thing to consider here knowing whether or not the type of football gloves that you will be purchasing are compliant with the regulatory body that you are under or any organizational rules that are set up under the same body. Go for gloves which you can fit into your budget without compromising quality. But if you are also willing to spend go for it. 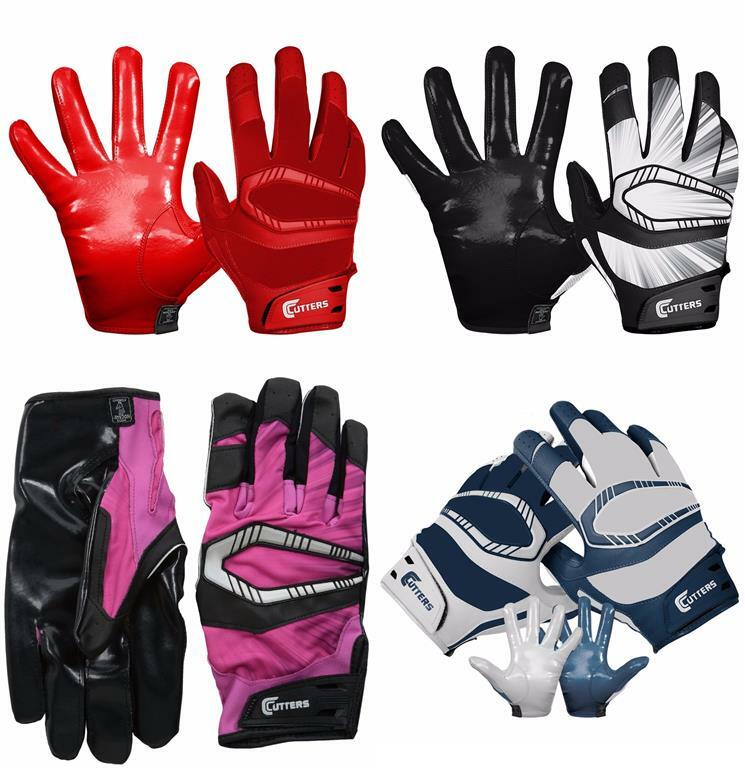 Football Receiver Gloves – Refers to generally all the gloves used in football regardless of the position. 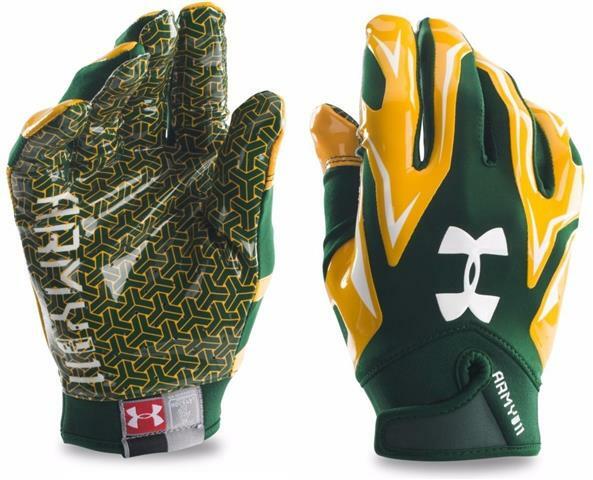 Lineman Gloves- Are primarily meant for players with a specialty of playing at the scrimmage line. 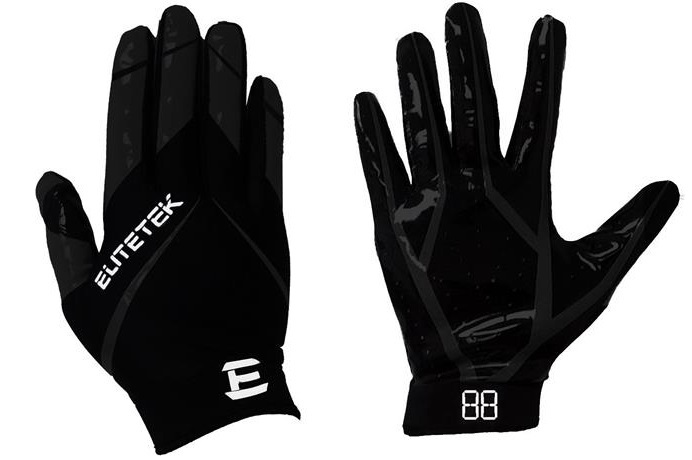 Wide receiver gloves- These are purposely built for the wide receiver offensive position. Cutter gloves – These are manufactured by Cutter typically featuring the groundbreaking C-Tack material. 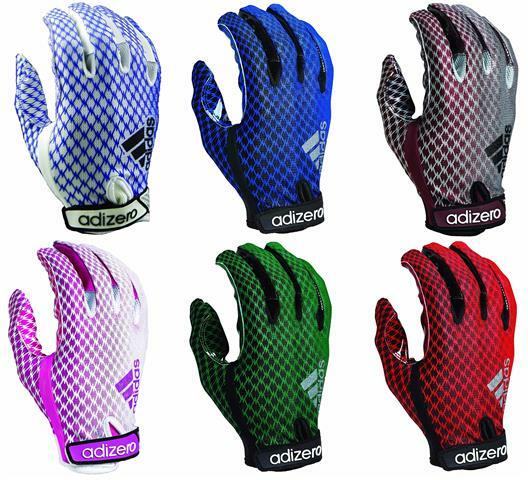 Padded football gloves – Made with padding and usually for comfort but the position of playing can also call for these. 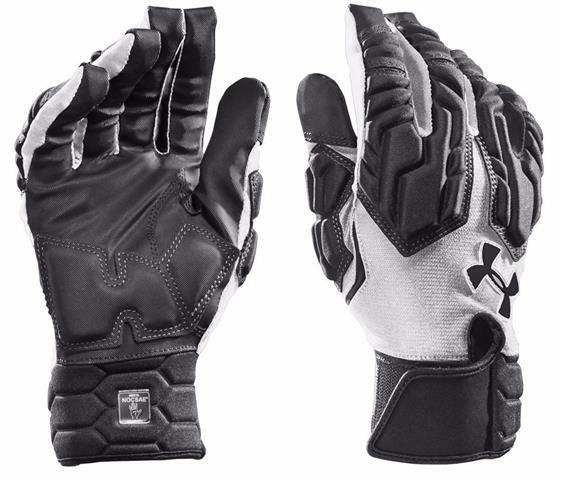 For example, lineman gloves can be more padded than for instance receiver gloves. 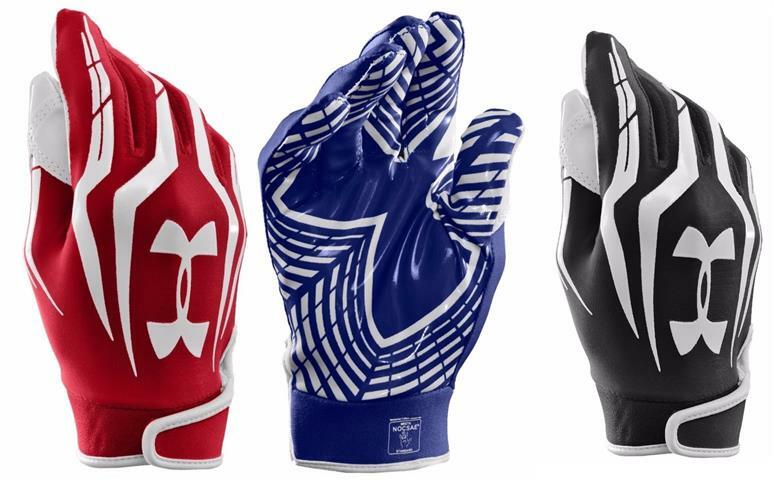 Youth receiver gloves – used by youth leagues. 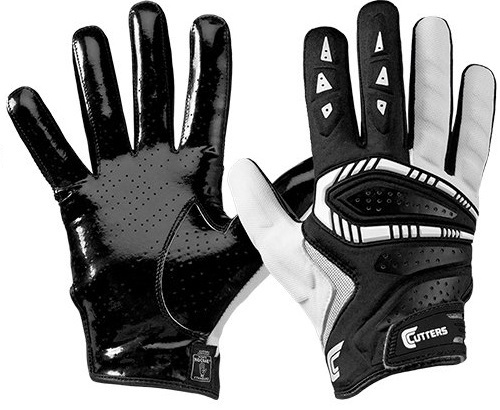 Cutters receiver gloves – Are gloves built for the receiver position by Cutters. 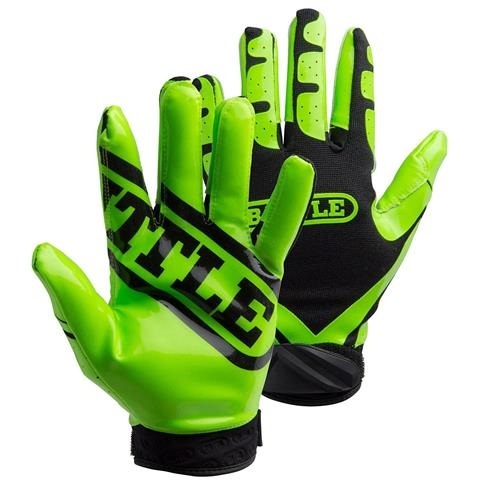 Linebacker gloves – They typically are built for the linebacker defensive position. 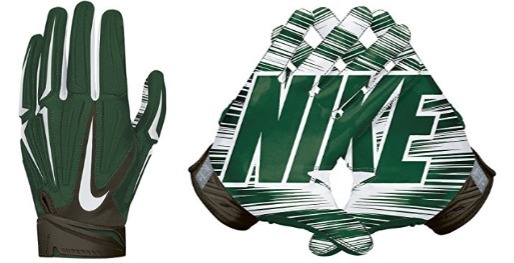 Custom football gloves – Some stores offer a person the ability to customize gloves to their own specifications and get them. 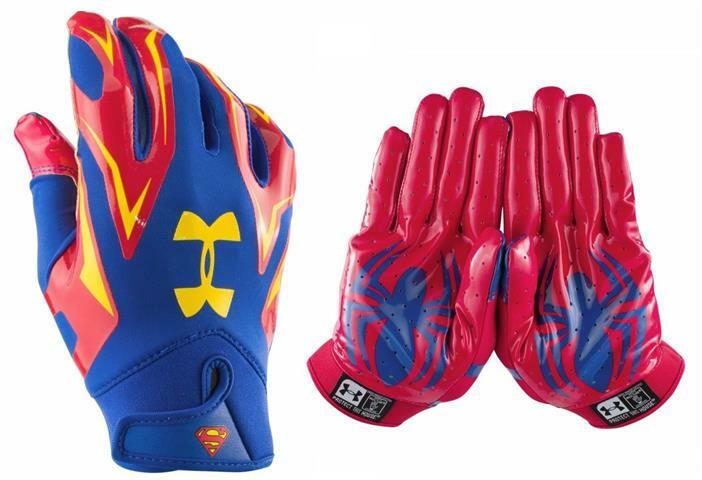 Youth football gloves- Are meant for use by youth players who are in middle school or elementary school.